Audi India has asked for a press conference on 6th January to launch their new model. The company through its Facebook page has announced to launch RS7 in India. At same time last year, Audi showcased the car at Detroit Motor Show. The RS7 would be powered by 4.0L TFSI twin cylinder V8 diesel engine producing 560 bhp of power at 6700 rpm and 700 Nm of torque at 1,750 rpm. 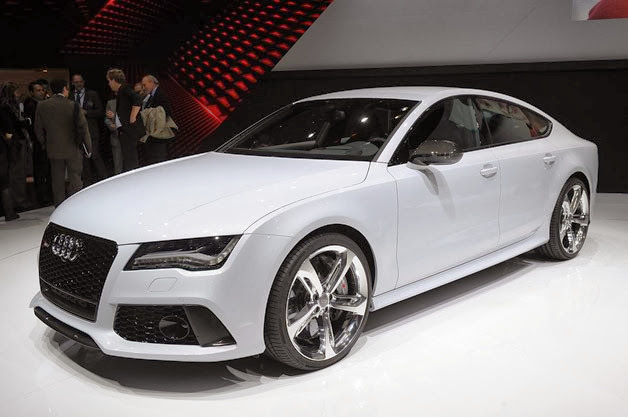 The RS7 is capable of doing a sprint of 0-100 Kmph in just 3.9 seconds. The top speed of the car is resticted to 250 Kmph in India whereas the International models have an option of choosing variant capable of doing 305 Kmph. The RS 7 will feature Audi’s traditional Quattro four-wheel drive system. An 8-speed automatic transmission will send 60 percent of the power to the rear wheels, while 40 percent goes to the front. Thanks to a Cylinder On Demand (COD) system, the RS 7 achieves 10.2 km/l in the European driving cycle. Stay tuned for more information at Wheel-O-Mania.